CK2 is specifically designed for young independent people of the new generation! CK2 Eau De Toilette 100ml. is extremely fresh and contrasting unisex fragrance that is specifically designed for young independent people of the new generation! This exciting fragrance has two faces and electrifying aroma gives you a unique feeling. Calvin Klein CK2 even you can instantly pull out of a rut and routine. 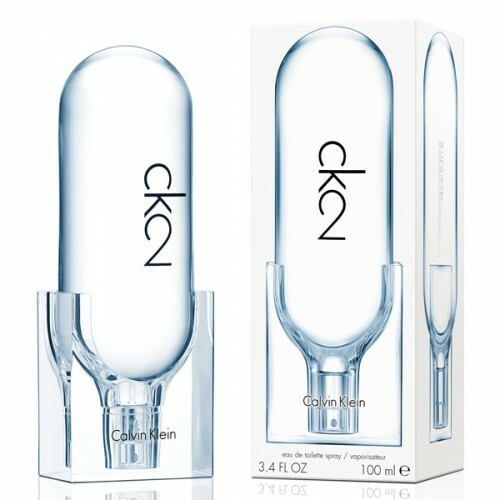 If you are looking for a fragrance that will inspire, gives you a feeling of freedom, while uncapped experience and add to your original self, then you smell Calvin Klein CK2 surely impress you! Unisex Eau de Toilette Calvin Klein CK2 carries in its title number 2. This symbolism indicates that not only is the new successor to the legendary fragrance CK One fragrance, but also the fact that it is based on a combination of two totally different opposites, such as spicy freshness and warm tones wood. The combination of these two contrasts act extravagantly well balanced at the same time. First, you will feel the extraordinary freshness of tangerine tones and Japanese wasabi. Subsequently rozvoní tones of violet leaves, which are complemented with roses. Furthermore, you will feel the smell of wet pebbles that evoke the atmosphere after rain and supplying toilet water CK2 really compelling and very nice fresh character. While the heart of the scent is rather finer tuning female, final part of the toilet water is made slightly more masculine warm lighting. Findings are ingredients such as frankincense, sandalwood and vetiver. Calvin Klein fragrance CK2 is celebrating youth, freedom and intimacy. Urban flavor of this unique eau de toilette perfectly corresponds to the unconventional experiences and diversity of the city. 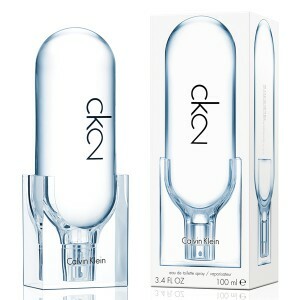 Transparent bottle fragrance CK2 is designed in minimalist style, which gives the scent perfectly stand out. The bottle is comprised of two different parts, which fit together and thus express the perfect connection of the male and female elements. The rounded shape of the bottle is finished solid square cap that also serves as a handy stand. Synchronization of these two contrasting sections symbolizes the union of two people and their different worlds. Experience this magical connection to your own skin and surround yourself with spontaneous scent of Calvin Klein CK2, which will keep you entertained from morning to night! This unique Eau de Toilette was launched in 2016.